Take the small attractive pack of Wonder Connect and make some beautiful designs to decorate your home. A design book is enclosed for your assistance. 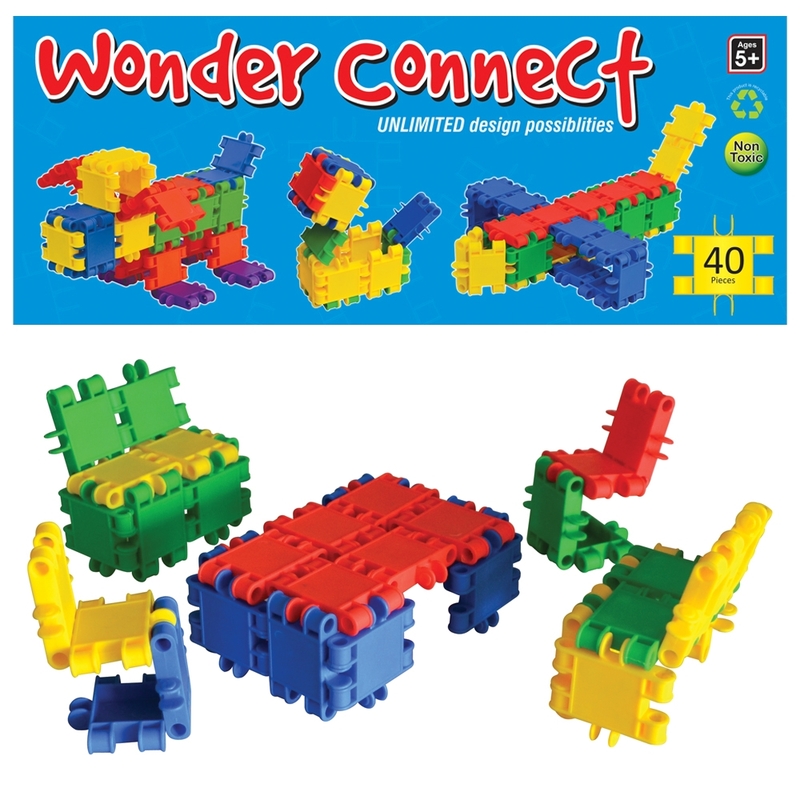 You can create much more by yourself with the colorful pieces of Wonnect Connect . This product stimulates imagination, enhances creativity, develops logical thinking and improves co-ordination. This product contains 40 colourful pieces made from non-toxic, high-quality plastics.